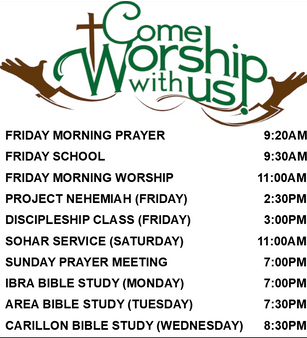 Open Bible Baptist Church - Oman is a community of Christian individuals whose aim is to promote the gospel and making disciples for God's kingdom. It is our aspiration that all Christian should grow in the knowledge and wisdom of our Lord Jesus Christ. We are here to serve and help you mature in Jesus Christ. The Bible says in Hebrew 9:27 "And as it is a appointed to men once to die, but after this the judgment." 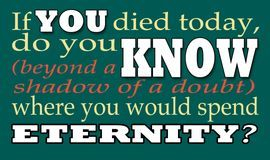 If you are not sure where you are going to spend eternity, we can help and the Bible has the answer! Please see the article on the right-hand side to discover God's simple plan of Salvation. Just like an oak tree, our faith must be rooted up in truth and in the right doctrine based on God's word and not on men's philosophy. We would like to hear from you. Give us a message by using our instant messaging below. We will be waiting fore your letter. Thank you for visiting our website and sending us an e-mail! We will get back to you as soon as possible and we will be providing you contact number and direction to meeting place. Romans 3: 10-18 - "As it is written, There is none righteous, no, not one: There is none that understandeth, there is none that seeketh after God. They are all gone out of the way, they are together become unprofitable; there is none that doeth good, no, not one. Their throat is an open sepulchre; with their tongues they have used deceit; the poison of asps is under their lips: Whose mouth is full of cursing and bitterness: Their feet are swift to shed blood: Destruction and misery are in their ways: And the way of peace have they not known: There is no fear of God before their eyes." John 3:16 – 17 "For God so loved the world, that he gave his only begotten Son, that whosoever believeth in him should not perish, but have everlasting life. For God sent not his Son into the world to condemn the world; but that the world through him might be saved." John 3:18 - "He that believeth on him is not condemned: but he that believeth not is condemned already, because he hath not believed in the name of the only begotten Son of God." Romans 5:1 - "Therefore being justified by faith, we have peace with God through our Lord Jesus Christ:"
Romans 8:1 -"1There is therefore now no condemnation to them which are in ChristJesus, who walk not after the flesh, but after the Spirit." Romans 8: 38-39 - "For I am persuaded, that neither death, nor life, nor angels, nor principalities, nor powers, nor things present, nor things to come, Nor height, nor depth, nor any other creature, shall be able to separate us from the love of God, which is in Christ Jesus our Lord."